The team at Noosa Hill were delightful, professional and very helpful. The apartment was beautiful and perfect for my 2 daughters and l.
We thoroughly enjoyed our stay at Noosa Hill. The resort was lovely, the kids loved the pool, sauna, spa and tennis courts. I loved the peaceful outlook and the size of the apartment which was more that ample for all of us to spread out. The guy on reception was absolutely lovely, more that helpful with everything. The bus stop out the front was also very handy, even though it was only a stroll down the hill to the beach. Sometimes at the end of the day the bus back up the hill was a very welcome service. Our room was modern, bright and spacious with all the facilities for cooking and washing. It was a very comfortable and relaxing place to stay. Beautiful apartment. Nicely styled. The location was great - a short walk to Hastings Street in one direction and short walk to IGA and other nice shops in the other direction. Excellent location, close to everything. Walk distance to shops, beach, restaurants and parks. The penthouse was very beautiful, had everything we needed and we enjoyed a couple of days cooking a barbeque by the pool, sauna and spa without the need to go anywhere else. The staff is very helpful, friendly and lovely. We will return. We miss Noosa already. Great staff, huge room, fab bed and great location. The staff went above and beyond! Great size apartment for two couples, it had everything we needed. The apartment is great! Spacious, comfortable and with all amenities you might need. The staff is very friendly too. Lock in a great price for Noosa Hill Resort - rated 9 by recent guests. 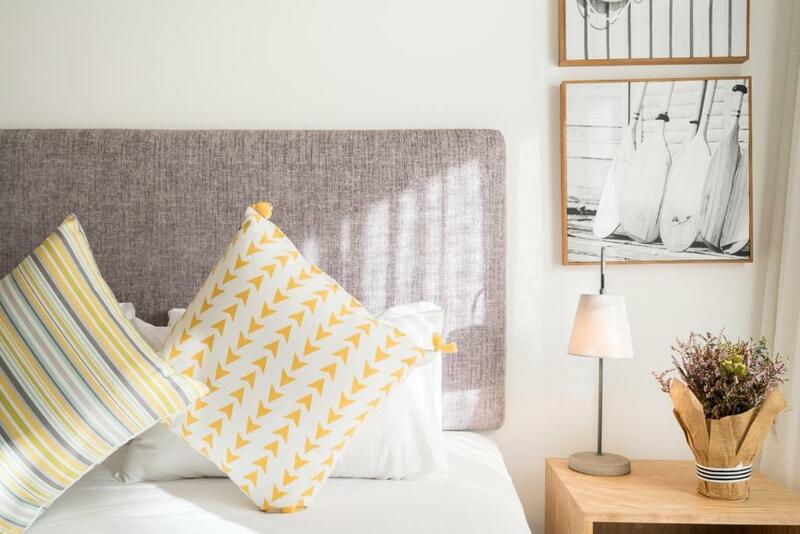 One of our top picks in Noosa Heads.Noosa Hill Resort offers self-contained apartments with free WiFi, a private balcony and full kitchen and laundry facilities. Guests can swim in the heated swimming pool or play a game on the tennis court. Main Beach and the cafes, restaurants, shops and bars of Hastings Street are only 550 yards from Noosa Hill Resort Apartments. Sunshine Coast Airport is 35 minutes’ drive away. Each air-conditioned apartment includes outdoor furniture and views over the tropical gardens or Noosa. The spacious living areas include a flat-screen TV. 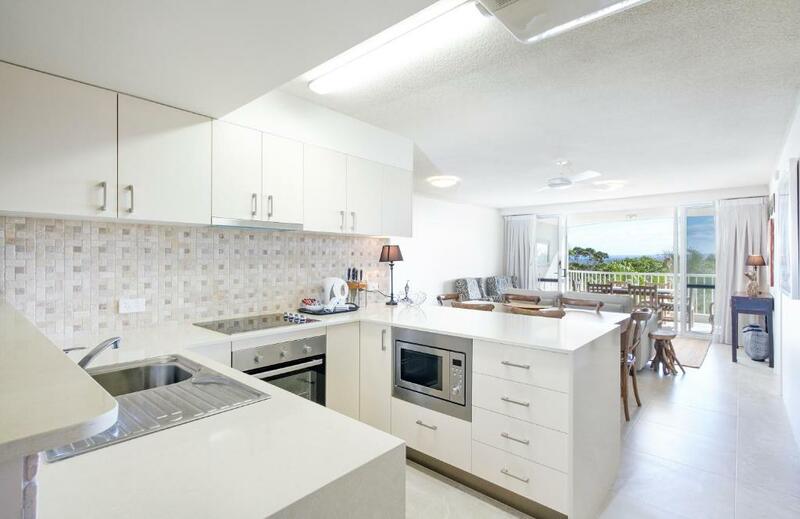 This property is also rated for the best value in Noosa Heads! Guests are getting more for their money when compared to other properties in this city. Noosa Hill Resort has been welcoming Booking.com guests since 20 Jun 2012. When would you like to stay at Noosa Hill Resort? This apartment features a private bathroom with shower, lounge and dining area, kitchen and laundry facilities, and a private balcony with garden views. This apartment features 2 bathrooms, a lounge and dining area, kitchen and laundry facilities, and 2 private balconies with garden views. This spacious apartment features 2 bathrooms, a lounge and dining area, kitchen and laundry facilities, and 2 private balconies with garden views. Featuring access to the private rooftop sun terrace with heated spa pool, this apartment has a private bathroom with shower, lounge and dining area, kitchen and laundry facilities, and a private balcony with garden views. Featuring access to the private rooftop sun terrace with heated spa pool, this apartment has 2 bathrooms, lounge and dining area, kitchen and laundry facilities, and a private balcony with garden views. This 1-bedroom apartment features a balcony, air conditioning and dining area. Please note that the 3rd guest will be accommodated on a roll-away bed for an additional charge of $25 per night. 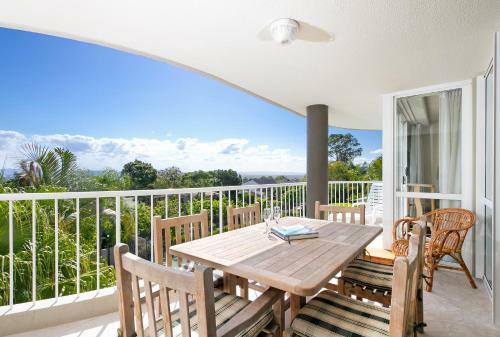 Noosa Hill Resort is centrally located between Hastings Street (beach, restaurants, Surf Club) and Noosa Junction (supermarkets, cafes, shops). Walking distance to all but, as the name suggests, we are up the hill, which means that many of our apartments have a view over the Hinterland to the west (but not all). We are about 750 metres from Hastings St and 350 metres from Noosa Junction. The apartments are very spacious and have a full laundry, kitchen and living areas as well as separate bedrooms and bathrooms and balconies. There is also a bus stop out the front if you want to catch the bus up the hill. OUR RESORT DOES NOT HAVE ANY LIFTS. STAIRS ONLY! Liz & Tony are the On-Site Managers and our son Zac is an integral part of the operation - we moved to Noosa from Sydney about 3 years ago to manage the Resort and really love it. Our aim is to help you enjoy everything we and Noosa have to offer, whether that means relaxing by the pool, a game of tennis or exploring the restaurants (Tony's favourite subject), we are here to help. We live off-site at the moment but we have an Night Manager who lives at the Resort for assistance after the office is closed. Someone is available at all times if needed. It's great being within walking distance of Hastings St and the beach but it's also nice to be able to remove yourself from it for a bit of quiet time. Our position allows you to walk to the supermarket in Noosa Junction (great butcher there as well) and there are some lovely restaurants like the Hot Bread Shop which turns into a fabulous French Restaurant on the weekends (byo, too) and the every-popular Village Bicycle bar and restaurant that many people don't even realise are there. House rules Noosa Hill Resort takes special requests - add in the next step! Noosa Hill Resort accepts these cards and reserves the right to temporarily hold an amount prior to arrival. All children under 2 years are charged AUD 38.50 per night per person for cots. All older children or adults are charged AUD 38.50 per night per person for extra beds. All children under 2 years are charged AUD 25.00 per night per person for cots. All older children or adults are charged AUD 25.00 per night per person for extra beds. I couldn't honestly say there was anything l didn't like about Noosa Hill Resort. The only thing l would suggest is that if there is families with toddlers and young children the hill down to Hastings Street is quite a climb. We loved the walk and my girls are 13 and 16 so no drama for us. The resort is located on a hill which is a little difficult if you are walking. A little maintenance required in the room. (ie toilet paper holder close to falling off the wall). The bed was a little too soft and the pillows a little too hard. Having said that the staff were very accommodating in finding a softer pillow. I did not realise there would not be water views-but you can't have everything! 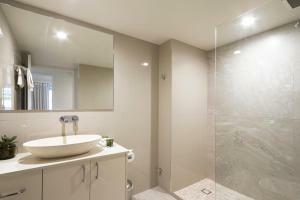 Very clean, updated, nicely furnished one bedroom apartment. Queen bed was very comfortable. Good value for the money.